the parades, football games, and feasting commence! 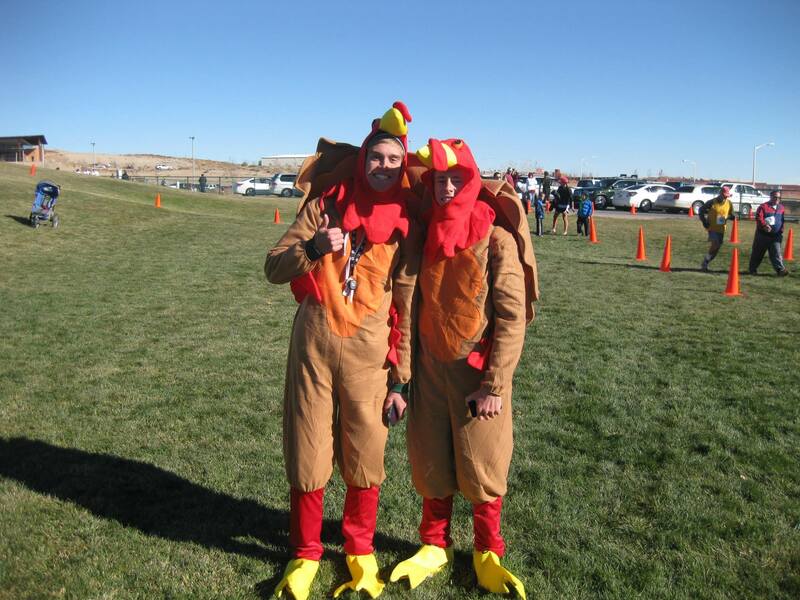 The Annual Hobbler Gobbler Thanksgiving Day Run is a crowd favorite and fun for the whole family. Sign up today! A portion of the proceeds benefit RunFit -- After School Running Program for Kids as well as the RunFit Mobile Food Pantries. 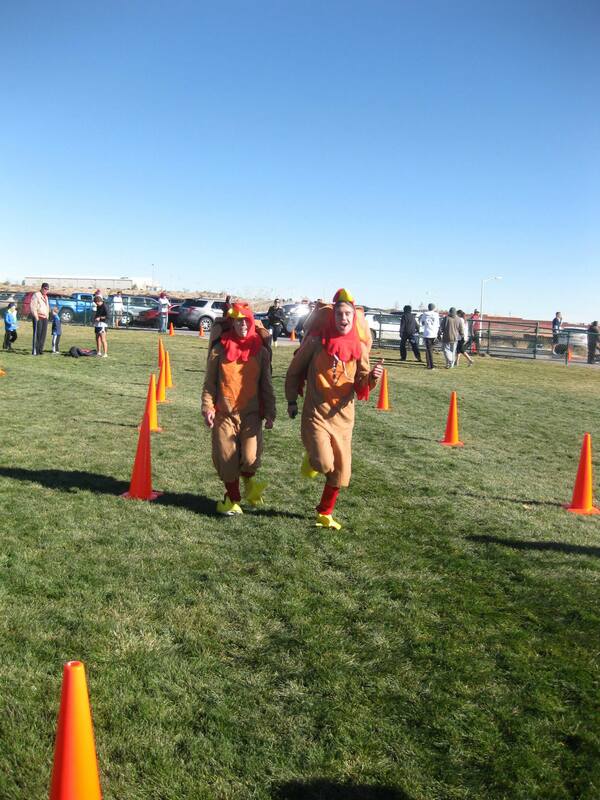 Note:Race Day Registration and Timing Chip Pickup will be located at the Rio Rancho Aquatic Center. NOTE: ALL PARTICIPANTS WHO WOULD LIKE TO BE ENTERED IN THE RESULTS AND BE ELIGIBLE FOR AWARDS MUST WEAR A TIMING CHIP/BIB. 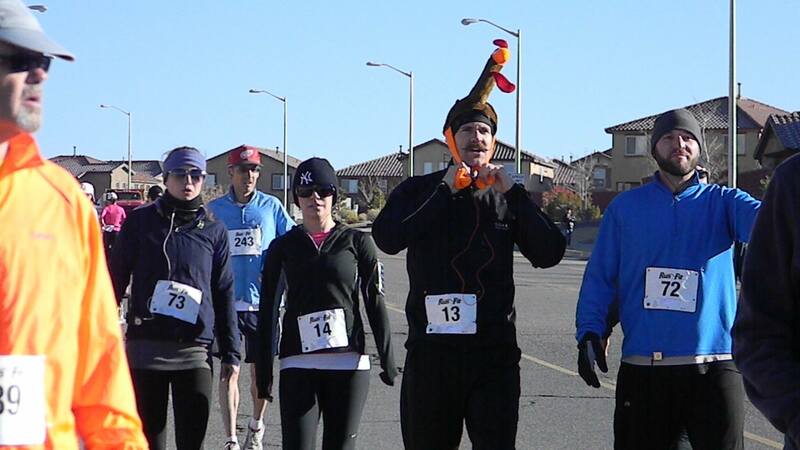 ALL BIBS MUST BE PLACED ON THE FRONT OF THER PERSON AND MUST BE VISIBLE AT ALL TIMES DURING THE EVENT. PLEASE USE DESIGNATED PARKING AREAS ONLY. DO NO PARK ON ROADS OR PEDESTRIAN/BIKE PATHS. AVAILABLE PARKING AT RIO RANCHO AQUATIC CENTER, RIO RANCHO LIBRARY (JUST NORTEAST OF AQUATIC CENTER) AND LOMA COLORDO PARK PARKING LOT (JUST WEST OF AQUATIC CENTER). 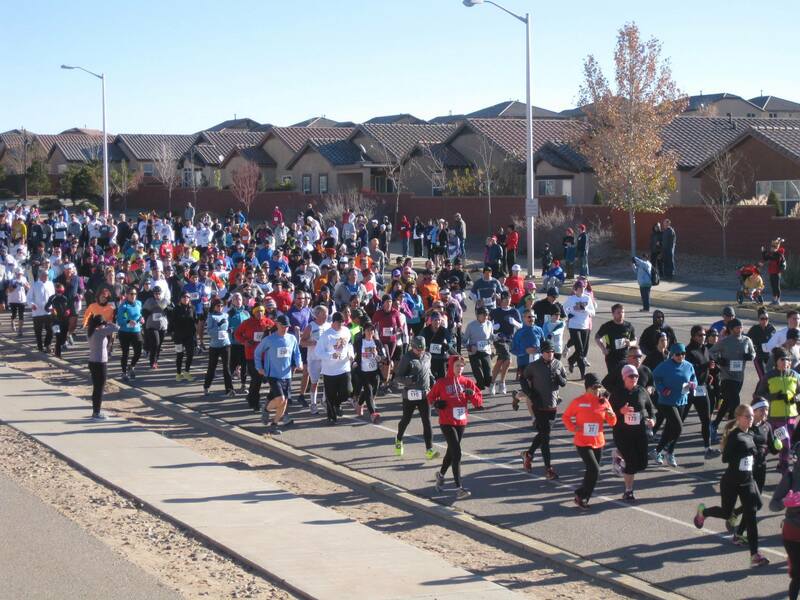 Startlocation for the 10K and 5K is located just west of the Rio Rancho Aquatic Center and Park -- approximately .25 of a mile west... in front of the Rio Rancho H.S. Performing Arts Center. 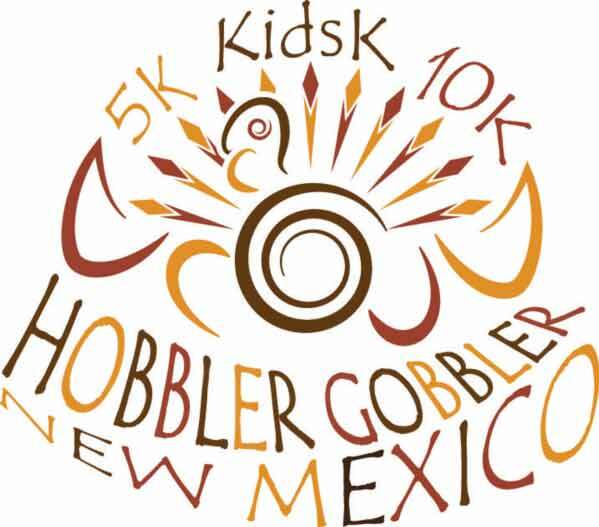 The Hobbler Gobbler Kids K starts on the south side of the Loma Colorado Park. All races will start promptly at the designated times listed above. Allow plenty of time to get to the Start Line in order to seed yourself according to your projected pace time. If you are driving to the race plan to arrive early. See parking information above. This race is a Gun Start with a Timing Chip finish. The "official time" will start when the gun/horn goes off. NOTE: ALL RACES WILL START ON TIME SO PLEASE BE AT THE START 10-15 MINUTES PRIOR TO THE START. Each participant will receive a Race (Bib) number that must be worn on race day. 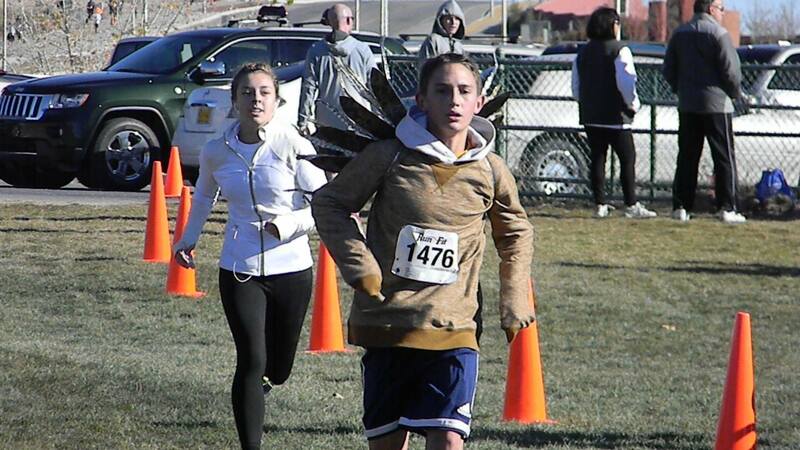 DO NOT alter your race number in any way. Your bib number must be visible and worn on the front outside of all clothing during the entire race so that it may be clearly seen. Bib numbers are nontransferable and MUST be worn by the runner to whom it is assigned. For everyone's safety baby carriers, baby backpacks, inline skates, motorized scooters, bicycles, skateboards, and animals of any kind are prohibited from the course. Note: See information about “dogs” below. Strollers and baby joggers are permitted on the 5K course only. Strollers and baby joggers must start at the back of the pack and your child must be secured in the stroller at all times. 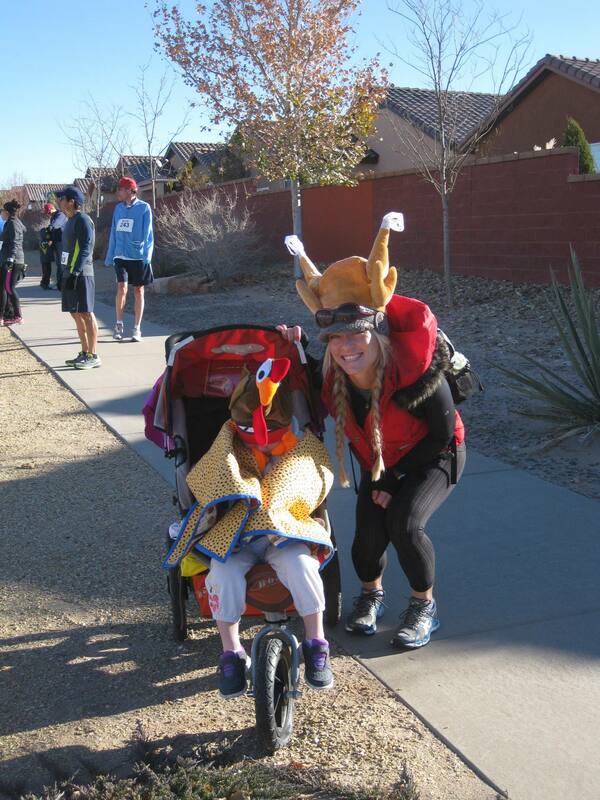 Are baby strollers allowed in the Hobbler Gobbler? Yes, but only for the 5K. We ask that any baby strollers start the race at the back of the pack so as to not create any trip hazards for other participants when the race begins. Note: Your child must be secured in the stroller at all times. Yes! Dogs are allowed at the event so long as they are non-aggressive and well behaved, on a 6’ non-retractable style leash, and the owner must be in possession of materials to clean up after their pet. Note: No dogs permitted inside the Rio Rancho Aquatic Center. The event officials have the right to withdraw any runner from the race that appears in distress or atrisk. If you have a health or medical problem at the Finish Line, you will be directed to the Medical Area (near finish). Please cooperate if you are asked to go for a checkup. If you feel that youneed help at any point, please ask for it! 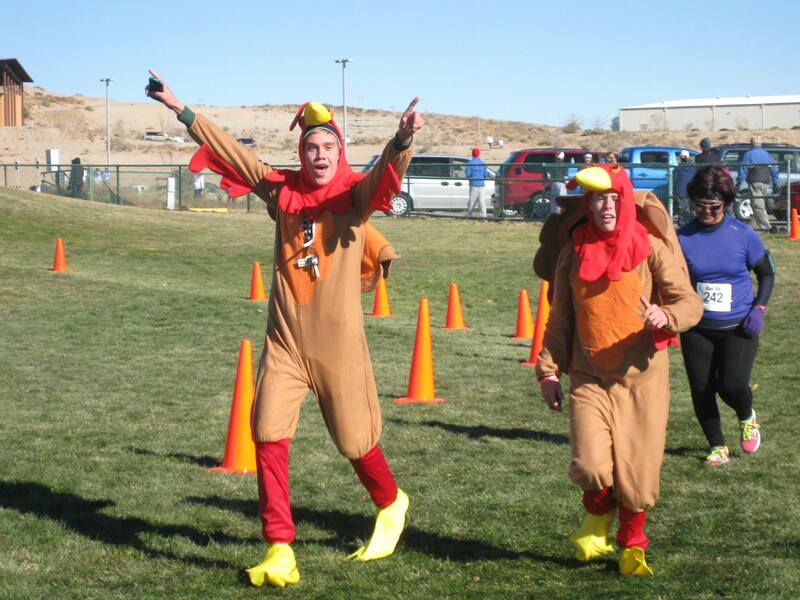 Age group prizes will be given to the top three finishers in the following categories for men and women: 15 and Under, 16-19, 20-24, 25-29, 30-34, 35-39, 40-44, 45-49, 50-54, 55-59, 60-64, 65-69, 70-74, 75-79, 80+. Award times will be determined by gun time. Age group prizes will be given to the top three finishers in the following categories for men and women: 9 and Under, 10-12, 13-15, 16-19, 20-24, 25-29, 30-34, 35-39, 40-44, 45-49, 50-54, 55-59, 60-64, 65-69, 70-74, 75-79, 80+. Award times will be determined by gun time. 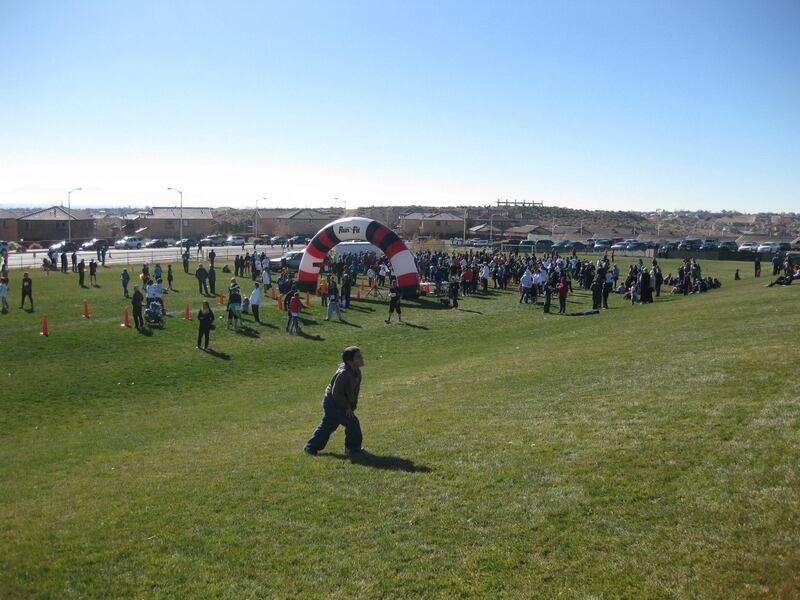 Allregistered participants (11 and under) are eligible to participate in the RunFit Kids K. The start of the RunFit Kids K will begin at 10:15 in the Loma Colorado Park just west of the Rio Rancho Aquatic Center. All participants will receive a special recognition award at the finish. Results from the 10K and 5K events will be posted on the RunFit website: www.irunfit.org.